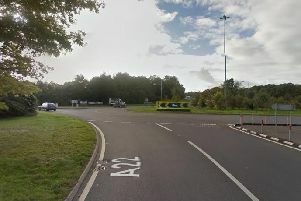 Motorists and residents in Polegate are being warned about a week-long road closure to allow ‘essential work’ to take place. Farmlands Way will close between Wannock Road and Broad Road from Saturday, February 16 to Sunday, February 24 to allow East Sussex Highways to rebuild a section of the road. To minimise disruption to traffic and bus routes serving local schools, the work, which is subject to weather conditions, has been timed to coincide with the half-term holidays, said a county council spokesperson. Cllr Nick Bennett, East Sussex County Council lead member for transport and environment, said, “This is a major scheme which will require the existing failed road foundation to be dug up and replaced and a new surface applied.